1) It sounds a little unfair to frame it in such a way, but it was never meant to be like this. Manchester United appointed Ole Gunnar Solskjaer as interim manager until the end of the season because they considered him the perfect man to put smiles back on the faces of supporters and players. The idea was that results would automatically improve to match the changing mood, but they were almost of secondary importance. 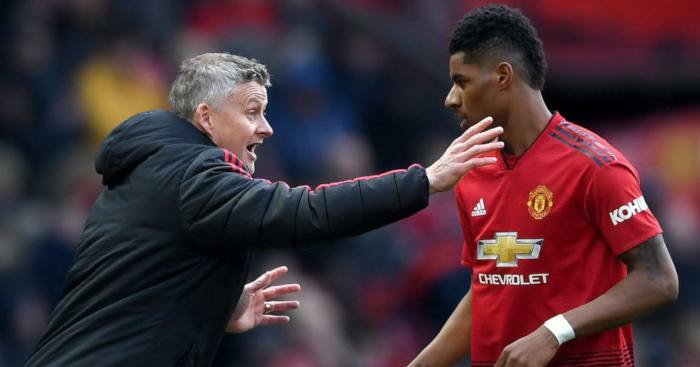 With 2018/19 almost a write-off given the gap to the top four, Solskjaer would rid the club of the Jose Mourinho-imposed fog. He would then step aside and allow the club’s long-term choice to step in, whomever that may be. But Solskjaer’s performance in charge has given Ed Woodward plenty to think about, for nobody saw this coming. Beating lower-ranked teams in the Premier League might be considered merely matching expectation in hindsight, but Mourinho was hardly managing that himself. 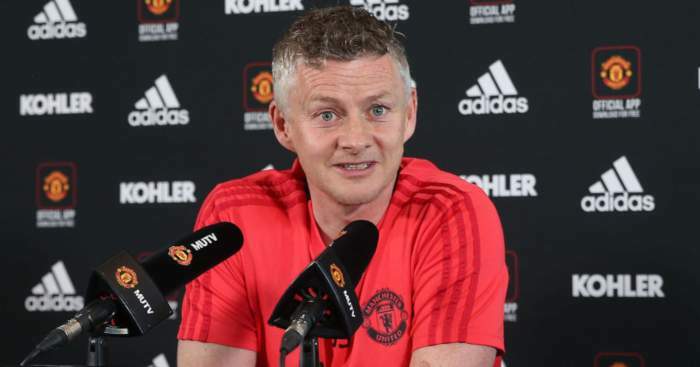 Beating Tottenham at Wembley and Arsenal at the Emirates gives more weight to the notion of Solskjaer keeping this job beyond the end of the season. Continue like this, and what choice do Manchester United have? If Solskjaer bridged the 11-point gap to the top four and won the FA Cup, it would put a tremendous amount of pressure upon his replacement to match him in starting at sprinting speed. 2) But there is no huge secret behind Solskjaer’s methods. He has simply benefited from treating Manchester United’s players as equals. Suddenly a midfield that “couldn’t pass the ball ten yards” is playing as a dynamic unit. The defenders who flopped and flapped are more secure. The strikers that were so shorn of confidence are firing again. After the Arsenal victory, Romelu Lukaku spoke to the media having been named as Man of the Match. He had created two goals, his link-up play better than at any point in Mourinho’s last six months in charge. He had a simple explanation. Lukaku went on to stress that he wouldn’t criticise Mourinho, but that last line still lingers in the air like a bad smell. Mourinho absolutely cocked this, and he must surely change his man-management style if he’s to be a success again. The sulky sergeant major act just doesn’t stand up anymore. Mourinho doesn’t command the respect – or have the aura he once did – to make it work. 3) Manchester United vs Arsenal has produced a number of iconic goals in the last 20 years, a feud forged by English football’s two dynastical top-flight managers: Marc Overmars winning the title at Old Trafford; Ryan Giggs’ FA Cup semi-final waltz; Wayne Rooney sealing the victory that ended Arsenal’s 49-game unbeaten run. But for me, it’s the sweeping counter-attack in 2009 when Rooney and Cristiano Ronaldo put Arsenal to the sword. That goal showcased the best of United – vibrant, surging, pulsating counter-attacking football – and the worst of Arsenal, left exposed with midfielders caught high up the pitch. United have spent most of the subsequent decade trying to replicate this absorbing style. Arsenal have spent most of the subsequent decade trying to rid themselves of this hardwired vulnerability. 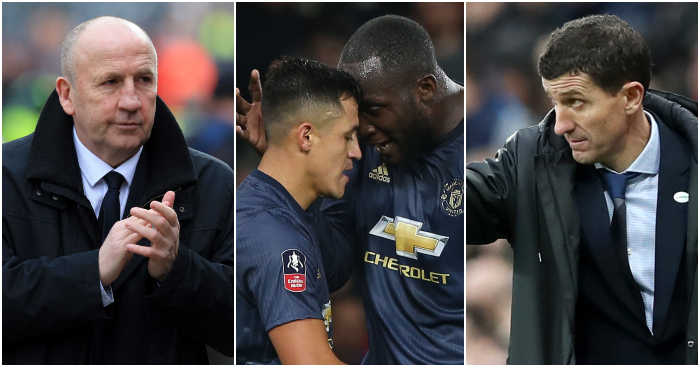 Friday night was proof that Solskjaer is getting closer than David Moyes, Louis van Gaal and Mourinho managed, and that Arsenal’s defensive issues were hardly likely to disappear when Unai Emery walked through the door. 4) Newcastle were a delightfully malleable opponent, but this weekend was further evidence for Watford’s strength. For the second FA Cup fixture in a row, Javi Gracia made 11 changes to his team and watched on as they won 2-0 away from home. Beating Woking was little more than expectation, but winning away at a fellow Premier League team with a complete reserve line-up is mightily impressive. Look at those who did start: exciting young English players (Nathaniel Chalobah, Will Hughes, Ben Wilmot), potential foreign stars (Domingos Quina, Isaac Success) and dependable squad players who are vital in a squad that has a high turnover of personnel. Watford might not win the FA Cup, but with Premier League safety secured that should now be their aim. In picking reserve options twice and watching them impress, the competition for places has never been better. 5) If Watford are a club heading firmly in the right direction, Newcastle made for an emphatic contrast. Rafael Benitez has stressed this week that his bosses need to impress him if he’s going to stay beyond the end of his contract. That looks less and less likely. On Friday, a loan deal for Jordan Lukaku fell through at the final hurdle. Newcastle briefed that the player had failed a medical, but reports in Italy say that the sticking point was wage demands. Even if Newcastle are right, that fails to explain the abject transfer business over the last 12 months. Maybe if they hadn’t left it until the last week of the window, these problems wouldn’t crop up. Benitez has made no secret of his ambivalence towards a FA Cup run, with his focus purely on staying in the Premier League. He can’t really be blamed for that, given the paper-thin squad at his disposal. But it sure sums up the misery of supporters when the best they can hope for is success in a fight against Cardiff City and Huddersfield Town to stay up followed by their best manager in years leaving in the summer. Then the mutiny must come. 6) Is Marco Silva in a bit of trouble? Farhad Moshiri admitted on January 9 that Everton’s league position was not acceptable, and that he expected an improvement before the end of the season. Since then, Everton have beaten Bournemouth at home but lost to Southampton away and then tumbled out of the FA Cup against Championship opposition. The defence is that he was only appointed last summer, but that’s a difficult argument for Silva to fall back on. If you’ve built a reputation for managerial short-termism, asking for patience becomes far more difficult. Must do better. 7) Everton were wretched against Millwall, but they did still get stuffed up by a diabolical refereeing decision. One of the farcical elements of this odd VAR creep rather than outright introduction is that some FA Cup games use the technology and others don’t. That becomes nonsensical when Millwall’s second goal – a clear handball – is immediately replayed on the big screen at the Den and every fan in the ground can see the offence committed. You can understand Silva’s frustration that the officials can literally see that they have made a mistake, but have no power to change it. This half-arsed solution only adds to the confusion. 8) Pep Guardiola is not messing about in domestic cup competitions. Manchester City have scored 28 goals in the FA Cup and EFL Cup alone, and he again picked a surprisingly strong team, particularly given that they play a Premier League game on Tuesday evening. But this is all part of Guardiola’s strategy. 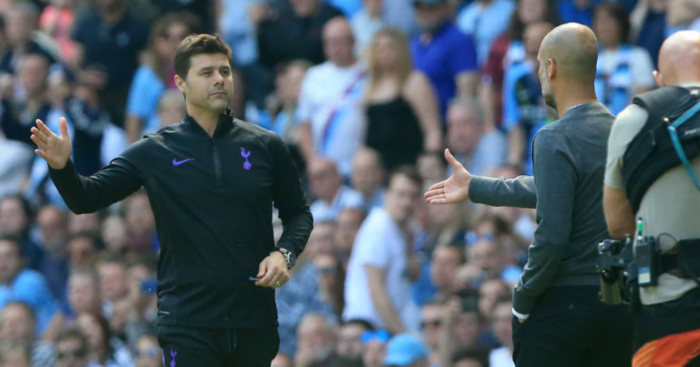 Last season City won matches before they had begun, psychologically breaking opposition managers and teams by goalscoring reputation. 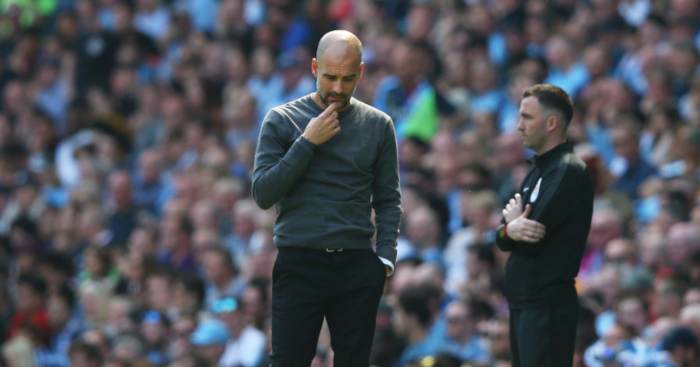 That air of invincibility was lost during December defeats, and Guardiola wants it back. Trampling over teams in cup games is his way of putting pressure on Liverpool. The same is true of Guardiola’s defence, who have now gone six matches without conceding. Having won their last six matches by an aggregate of 28-0, there’s no doubt that City are purring again. 9) If you’d overlooked the fact that Shrewsbury Town vs Wolverhampton Wanderers is a fierce local rivalry, join the club. But Saturday produced scenes in Shropshire that you might stereotypically associate with Millwall or West Ham. The police presence was substantial, but failed to stop both sets of supporters throwing objects at each other, and running fights on the roads near the stadium after full-time. There was an element of ‘pwopa nawty’ to the whole thing, Shrewsbury’s troublemakers in particular noticeably young. But such scenes will hardly cause much cheer at West Midlands Police given that a replay is scheduled for ten days’ time. 10) But if there were unsavoury scenes in Shrewsbury, that’s nothing in comparison to the dreadful behaviour on show in south London. Everton and Millwall supporters were both at fault for fighting away from the stadium before the game, but it was Millwall who deserve most censure for the behaviour of fans inside the ground. They were recorded chanting “I’d rather be a P*ki than a Scouse” to the away end. This racism has no place in football, and Millwall would have no cause for complaint if they were thrown out of the competition. They are a fine club who do more than most for their local community, but there’s no doubt they attract a breed of supporter that simply must be banned from all grounds. Until the club manages to eradicate their behaviour or their presence, that reputation will hang around Millwall like an ill-fitting cloak. 11) FA Cup shocks are supposed to follow a script. The lower-ranking side takes a lead and then grimly hangs on, barely trying to push on having gained their precious advantage. The humbled top-flight team, miles from home, miss chance after chance but somehow fail to score. AFC Wimbledon didn’t receive the memo. The only teams West Ham had conceded four or more times to in the last ten months were Liverpool and Manchester City, but Wally Downes’ side sensed a weakness and resolved to push on and exploit it. Wimbledon did at least satisfy one cliche: had you not been told before the tie which was the Premier League team, you would never have guessed it was West Ham. Manuel Pellegrini was understandably furious after the match. He accused his players of a shared poor attitude, going as far to admit that he was “ashamed” of them. Fringe players can use these opportunities to improve their chances in the Premier League during these domestic cup forays; West Ham’s usual starting XI can sleep soundly in their beds. 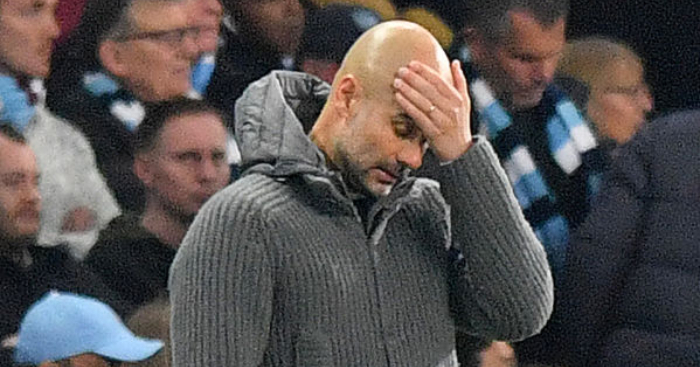 12) Pellegrini may not regret his scolding post-match words, but Accrington manager John Coleman did at least have the decency to admit that he went too far. After a loss to Derby County having been reduced to ten men in the first half, Coleman lambasted the officials. By Sunday afternoon, Accrington had released a statement in which Coleman apologised for his choice of words. Good on him for admitting his mistake, but it would be nice if in future managers weren’t so keen to lay all the blame at the feet of referees. It’s a bloody hard – and largely thankless – job as it is. 13) The problem of football promoting gambling has gained a great deal of exposure lately, and rightly so. But bloody hell there’s something wretched about a member of the Big Six tweeting their starting XI and tagging a bookmaker with a link to the markets on the game. I don’t know why, but it really got under my skin. 14) Whatever deal Kieran Trippier did with the devil to enjoy a wonderful World Cup campaign with England, how much do you think he would pay to get out of it now? 15) Romantic FA Cup stories are usually restricted to lower-league teams, but Connor Wickham is raising his hand and clearing his throat. The striker has had wretched luck with injuries over the last three years, and started his first match since November 2016. 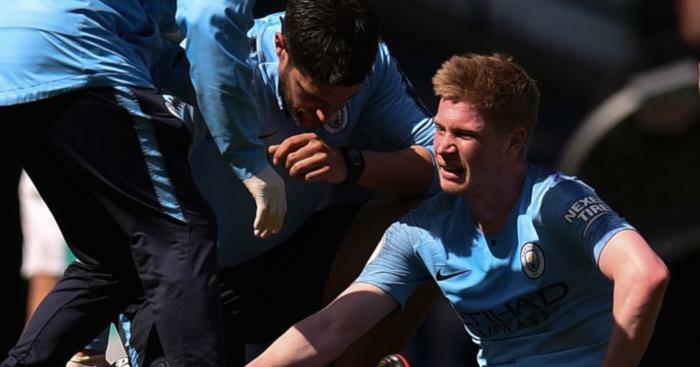 Some supporters believe that injured footballers might somehow enjoy being paid for doing nothing other than recovering. The truth could not be further away: injuries, particularly those that require a lengthy rehabilitation, can break a player’s spirit. They may feel worthless, useless and hopeless. Being an unused part can make team sport the loneliest place of all. Look at Wickham’s face as he celebrated his goal. Instinctive joy gave way to pure relief, tinged with anger that he has been forced to wait so long. The striker fell to his knees in gratitude. The only hope is that it is the first goal of many. 16) Finally, well done to Doncaster Rovers. Their victory over Oldham Athletic was hardly the glamour tie of the fourth round – nor was Portsmouth’s impressive draw with QPR – but it means that Donny are in the FA Cup fifth round for the first time in 63 years.